It was time for me to make a sympathy card. The embossing folder I used came as a gift with the papercraft essentials magazine. I just love this new embossing folder! 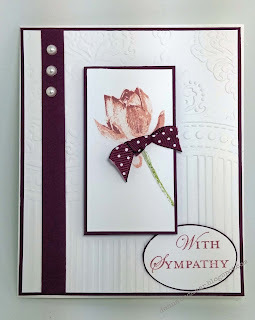 The flower that I used is from Stampin Up called Lotus Blossom. I used the distress inks victorian velvet and tattered rose loved how that turned out. 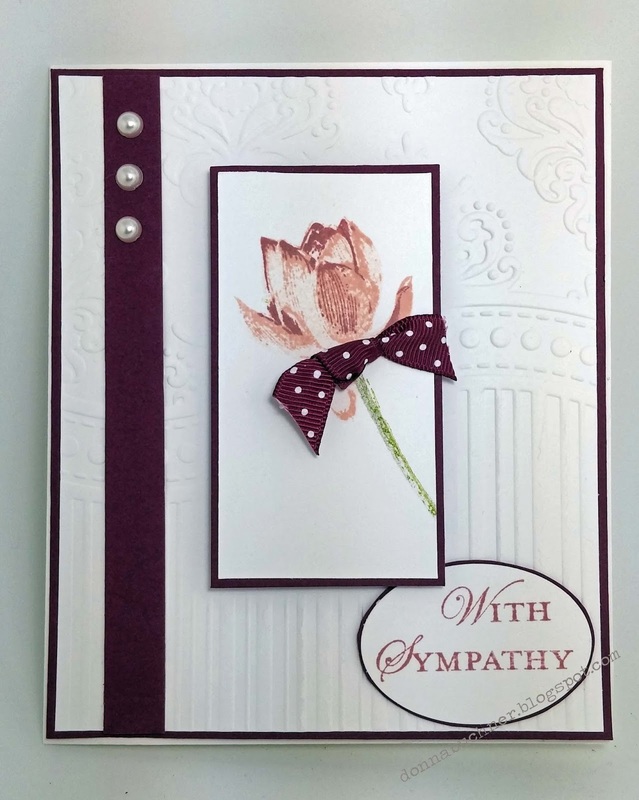 The sentiment is also a Stampin up stamp which comes from the set called Loving thoughts. A truly LOVELY card, Donna!